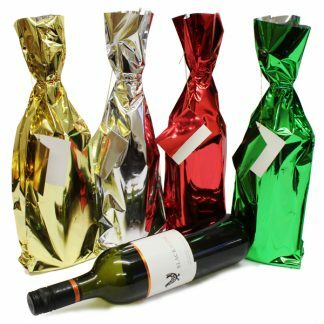 Protect and enhance your drinks gifts with this pack of big value metallic bottle bags. 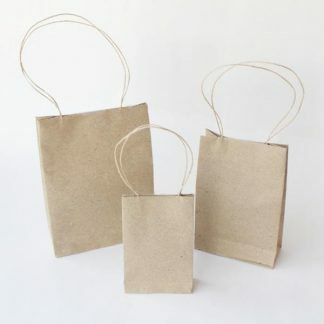 This pack of four includes gold, silver, green and red bags with matching gift tags. 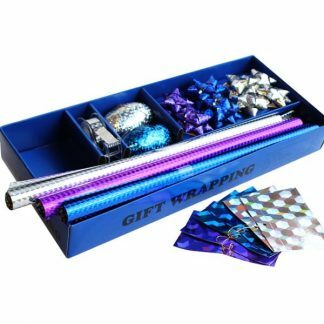 They’re perfect for wrapping wine and champagne bottles and will ensure your present stands out from the rest. 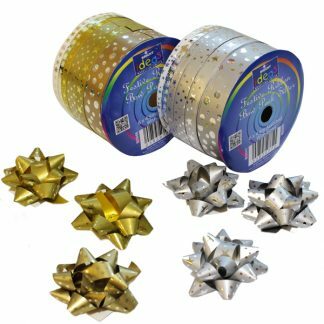 You can even combine these with our metallic shreds for a truly festive feel. What better way to make Christmas even more special and turn those gifts for family and friends into something wonderful and to be treasured! 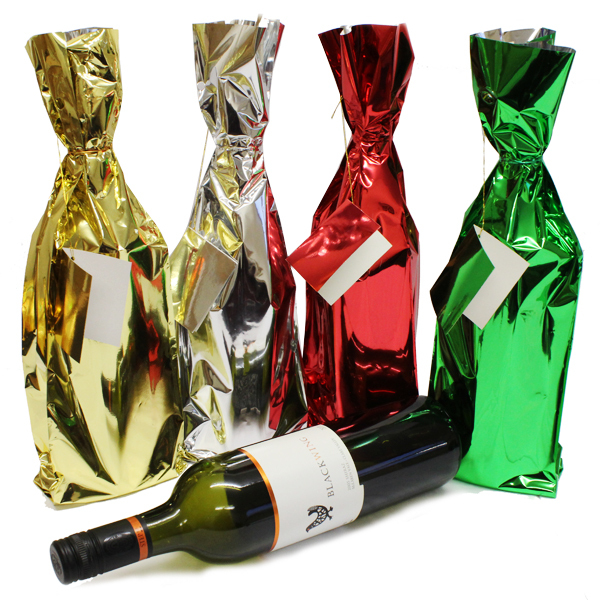 Our metallic bottle bags are a great buy for the festive season and the more you buy the more you save! 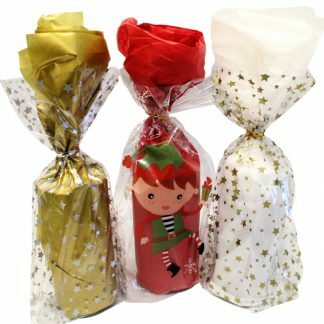 Each foil bottle bag measures 41cm tall x 12cm wide and come in retail-ready packing which contains barcodes. Add that finishing touch to your Christmas gifts this year and make sure they are something really special! Looking for something a little different? 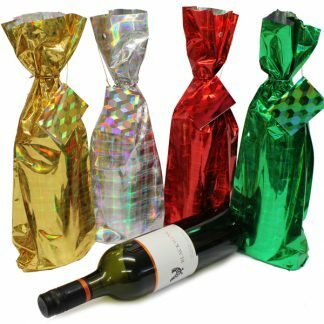 We’ve also got holographic bottle bags – you can see those by clicking here.